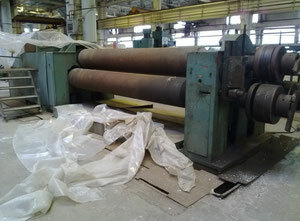 The plate rollers belong to the sheetmetal category of machines. 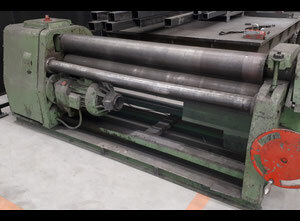 Rolling plate (bending sheet metal) is a technique used to transform a flat surface into a cylindrical shape or conical surface. 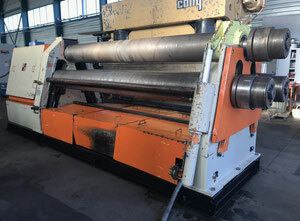 The purpose of the machine is to work on the metal sheet to generate a full or partial cylinder (a tube) in order to produce equipment like tanks, for example. 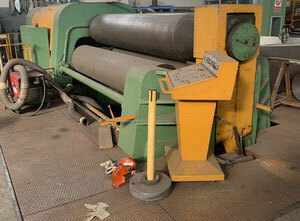 Usually, The plate rolling machine uses three rollers to form a metal sheet into a circular arc. 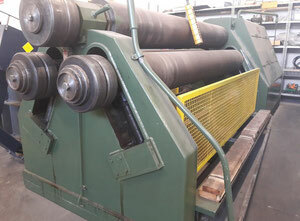 The rollers of the machine rotate around the 3 parallel axes. 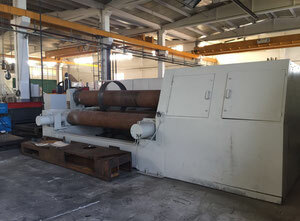 The plate is lodged in a structure made up of rollers mounted on free axis and motorized general, which at the start-up of the machine, exerts force through hydraulic cylinders. 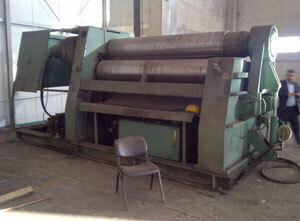 Gradually, the sheet is stretched and driven on a complex path from one roll to the other to its final curve is formed. 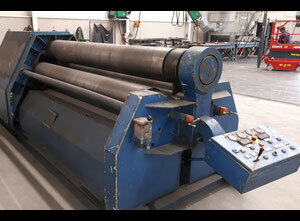 The different versions of rolling machines are distinguished by the entrance area of the plate and how difficult it is to quickly obtain perfect shapes. 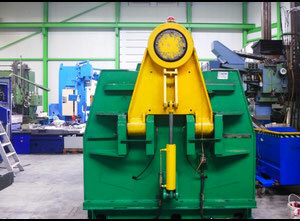 Rotating bending deformation is the core working procedure. 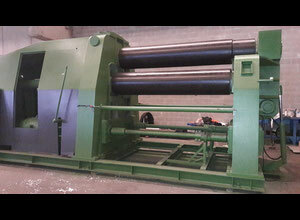 It can also be applied in petroleum, chemical industry, cement, boiler, shipbuilding, aviation, water conservancy, power transmission towers and other machines. 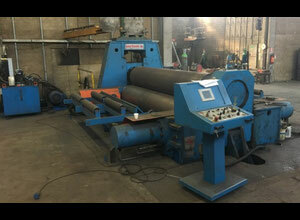 The plate rolling machine is able to roll both thin and thick plates with a high degree of precision. 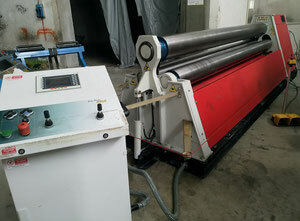 Most of the time, the upper roller of this plate bending machine can move horizontally and vertically so the auxiliary equipment is not needed. 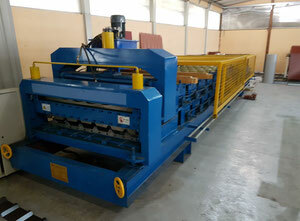 Additionally, the upper roller universal plate rolling machinery features NC control which allows for high productivity, excellent product precision, integral structure, safety and rich bending curve shapes. 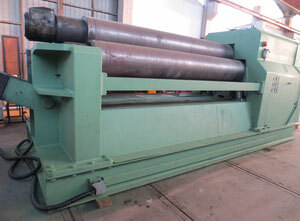 The plate rollers can be used in the chemical industry, cement working, petroleum, boiler, shipbuilding, and aviation. 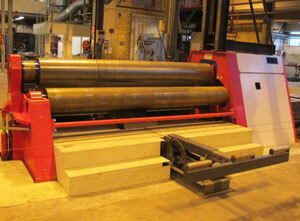 You can also filter your machine searches by location, year and manufacturer. 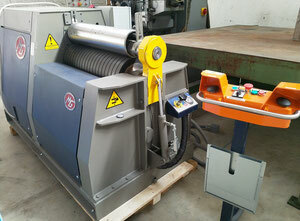 Start to sell or buy your used plate rolling machines now!